Bohemia Interactive launched their free-to-play FPS Argo back on June 23, and the game seems to be doing quite well, with Steam Spy showing that around 363,000 people have played the game over the past two weeks. 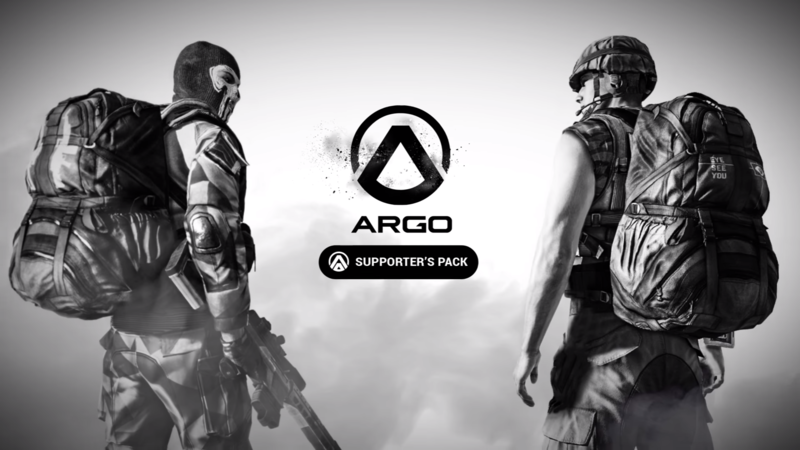 While Argo is a free to play game, players can choose to support the developers by purchasing a Supporter’s Pack for $9.99. The developers made sure this pack wasn’t “pay-to win”, as it only includes things such as cosmetic items, animations, and access to premium servers. In order to increase the notoriety of this Supporter’s Pack, Bohemia Interactive has released a new trailer for Argo that details its contents. The first thing the minute long trailer does is show off the playable vehicles for the Scenario editor; these vehicles include both trucks and helicopters. It then goes on to display some of the 23 unique apparel items, such as skull face gear, bandannas, and large backpacks. As I mentioned before, these items are just cosmetic, so they don’t give players who wear them any kind of boost. The video then goes on to show all thirteen of the unique animations contained in the supporters pack, and ends by showcasing how those who purchase the Supporter’s Pack will have their name highlighted in the leaderboards and gain access to premium servers. You can check out the Supporter’s Pack trailer below. Argo is currently available for free on PC.